In Surfacing the Rim: Piercing the Fold, Book 2, an intersection between our galaxy and the Andromeda galaxy has been spurred at the hands of an enemy fellowship. With orders from its leader, Sondian guardian and Sam Crest opens a wormhole that traces through a black hole through the Andromeda galaxy and into another universe beyond ours. What Jesca and the other Dobrian guardians do not realize is that the wormhole has pierced a barrier, a veil, that has successfully kept the beings of that universe from invading our world. Beings that have been considered mythical and fantastical since the beginning of time. Beings that symbolize the purest of evil and the purest of good. Beings that have been the product of the “illusions in reality” Jesca and the rest of the guardians have been tracking, dodging, and protecting humanity from for the past year. To worsen the situation, Sam Crest attempts to take Jesca with him into the wormhole, but two of the most important men in Jesca’s life, Ezra Kahn and Nate Sera keep her from succumbing to it by sacrificing themselves. Their sacrifice protects her physically, but not mentally. Jesca is left broken in the arms of a man that she is beginning to fall for, Xander Crest; adopted son of Sam Crest. Though Ezra’s and Nate’s sacrifice was noble, it was not enough to stop the global invasion and apocalyptical evolution the enemy fellowship intends to draw to our world. The fate of our world is bleak unless Jesca and the her fellowship of guardians can find a way for the human race to adapt, evolve, and survive amidst the invasion, as well as bring Nate and Ezra back from beyond the veil. Ascending the Veil: Piercing the Fold, Book 3 takes you beyond our world and universe and back through the eyes of the characters in this series. Tragedies and blessings involving Jesca, Ezra, Nate, and Xander will be revealed, our favorite guardians of the Dobrian and Sondian fellowships will forge their paths in this universe and in another for the salvation of our world and each other, and heart-wrenching events will unfold when Jesca ascends the veil. The Piercing the Fold series is intended for Mature Young Adult and Adult readers due to the the paranormal and unorthodox scientific concepts addressed throughout. This series contains a rich mixture of the paranormal, science fiction, romance, adventure, and suspense. Venessa Kimball is currently writing the third book in her Mature Young Adult/New Adult Paranormal Science Fiction series, Piercing the Fold. Book 1 was released July 2, 2012. Book 2, Surfacing the Rim, released March 14, 2013. 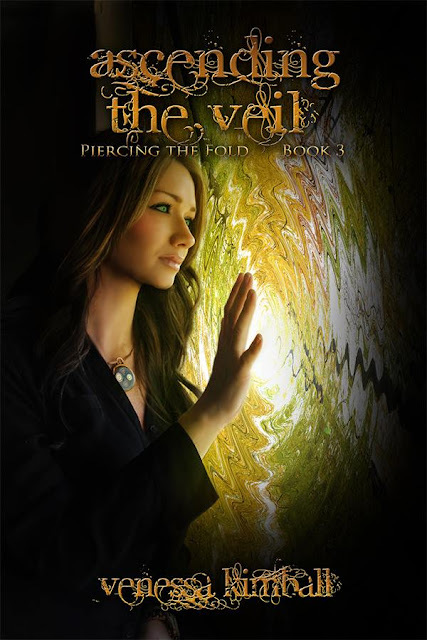 Ascending the Veil: Book 3 will release Mid-September 2013. And the final book in the Piercing the Fold series, Book 4 (Title TBD) will release Early 2014. As for the future, Venessa has two projects unrelated to the Piercing the Fold series in the works. Both projects will highlight Venessa's versatility as a writer with her branching out from the Paranormal/Science Fiction genre of her current series. 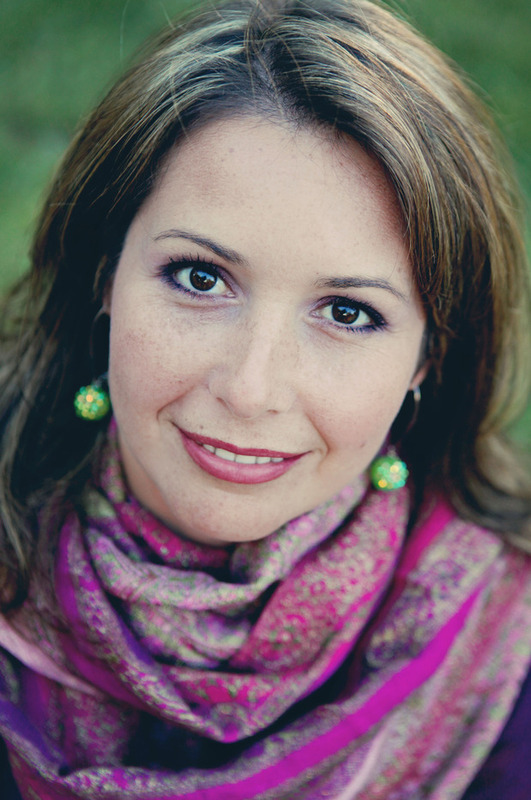 When Venessa is not writing, she is keeping active with her husband and three children, chaueffering said children to extracurricular activities, indulging in her love for running 5ks, and devouring the latest great reads.